The above example uses a unique map background created with the 'Customise Map' feature. 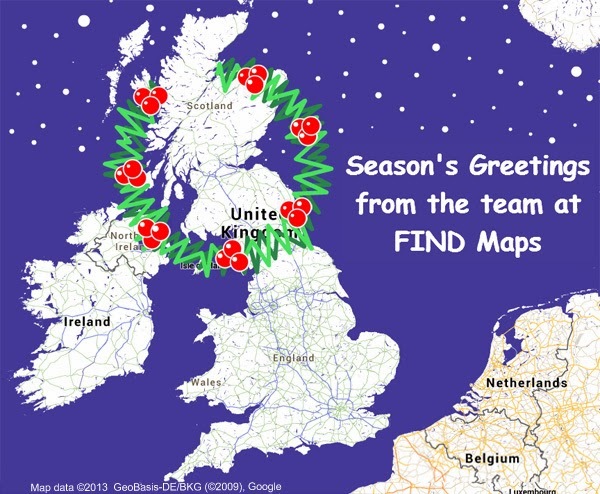 Usually the Google Map comes in its classic map legend, but we have changed the map colours to produce a Christmas styled map theme. The wreath and the snow have been created using just two annotation tools: circles and lines. You can edit the above map and a have a go at producing your own version with this link.